My heart is in the mountains and rivers of Montana. This isn't a big fish, but everything comes together in this photograph. My friend Jim Linehan and I back packed into Isle Royal on Lake Superior a few years ago. Jim caught this fine Lake Trout casting from shore. It was a great trip with a great friend. 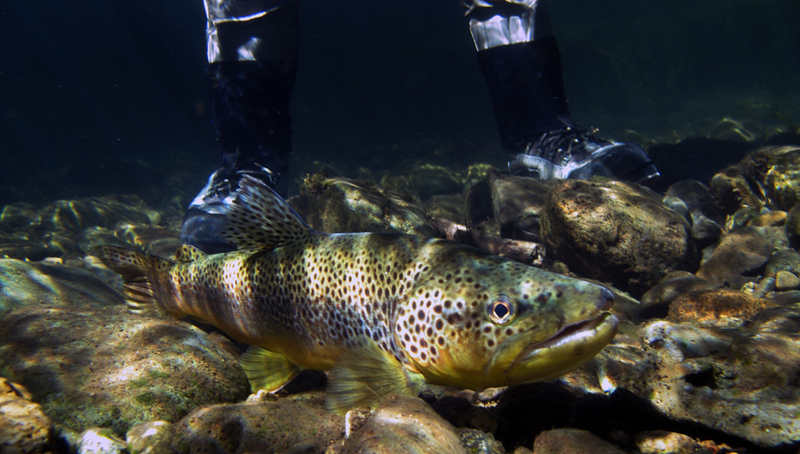 High in the Pioneer Mountains, a Montana lake filled with eager Grayling. Deep into a Wisconsin spring creek where only Brook trout are supposed to be you'll sometimes see a swirl that makes you think hmmm, I sure hope that's a Brookie. But never disappointed when it turns out to be old mister Brown. The trick is getting them to sit still for a photo. 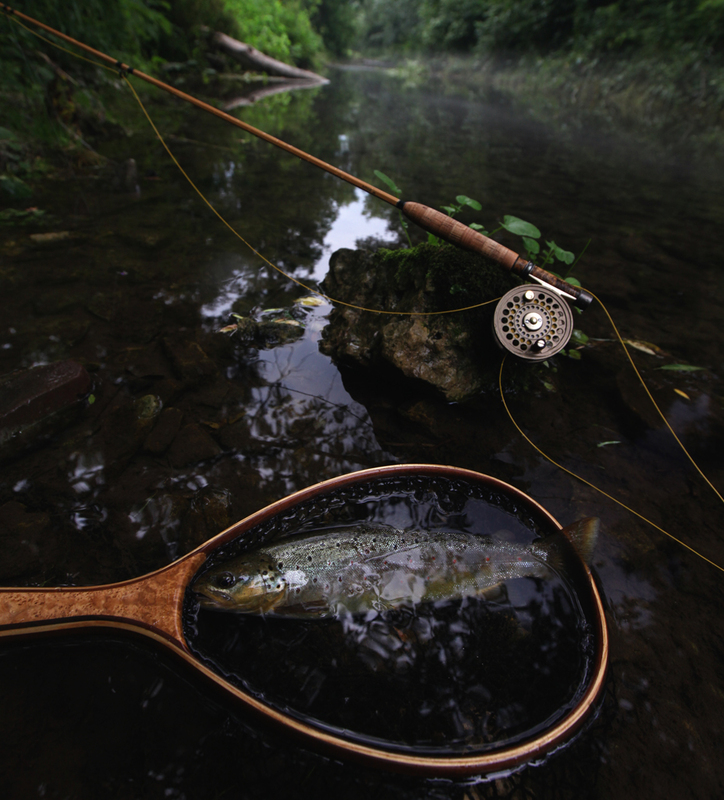 Fly rod was made by Larry Donahe. He does beautiful work. Click here if you'd like to see more. 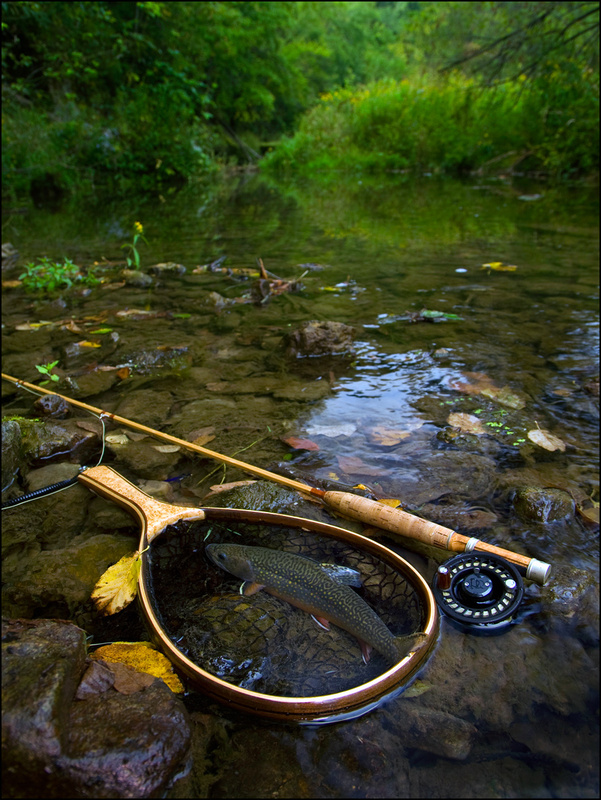 Some of the creeks in the Driftless region are so clear, you have to be more of a hunter than a fisherman. Crawl on hands and knees, strip out what you think is enough line, load your back cast and make one very accurate cast above feeding fish without spooking them. Failure rate is very high, but when all the stars align you can walk back to your truck with a big ol' grin on your face. Way up in a Wisconsin Spring Creek. Not an easy march into here, but well worth it. Fly Rod Made by Dave Norling. click here if you'd like to see more of Dave's work. On an assignment for the Minnesota Conservation Volunteer Magazine I was lucky enough to land this beautiful and rare Tiger trout in SE. Minnesota. 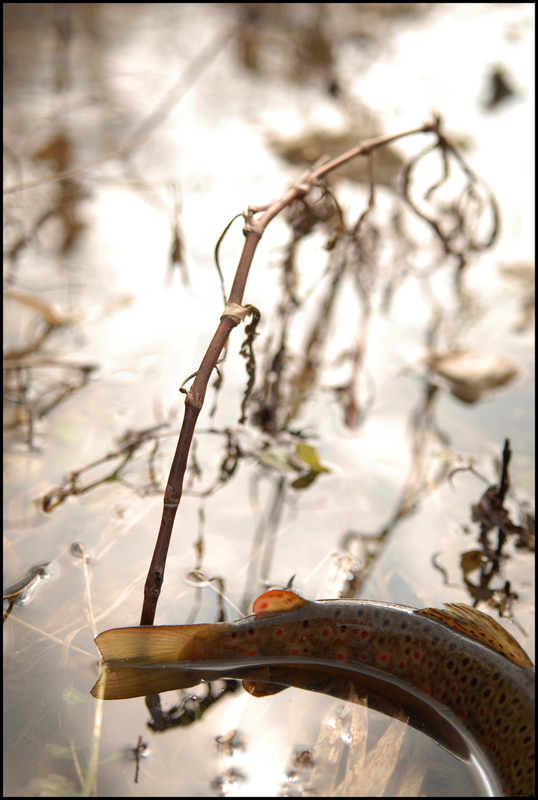 The Tiger is a cross between and female Brown trout and a male Brook trout. I've only caught three in my life. 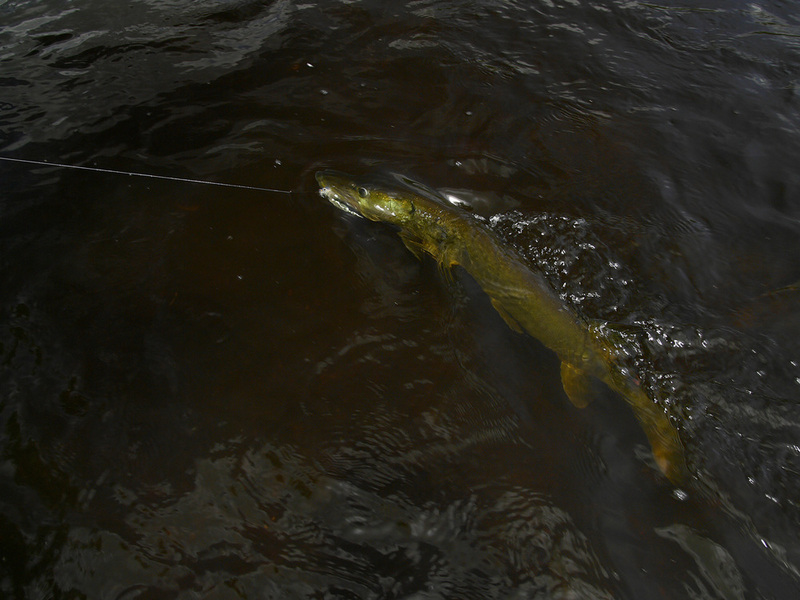 Releasing another Shoepack Musky, Voyageurs National Park, MN. Bob White noticed a big swirl below an eddy and grabbed a rod, swung the fly through and hooked into this nice emerald green Musky. Chippewa River Wisconsin. Bob is an amazing artist and writer. You'd do yourself a favor if you looked at his website and signed up for his newsletter. High Mountain Cutty. Not the largest of the trip, but one of the most handsome. On an assignment for the NewYork Times, trout fishing in NE Iowa. 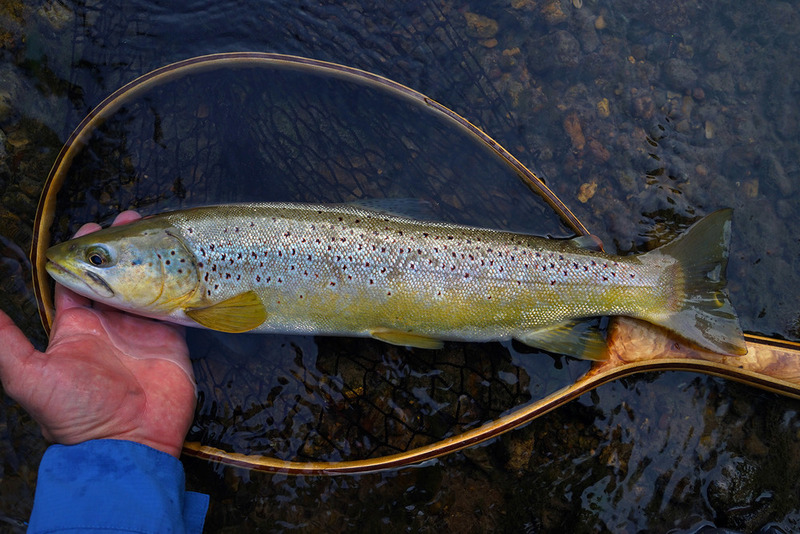 I landed this 23" brute with a bamboo fly rod made by my friend Dave Norling. On assignment for the NY Times. 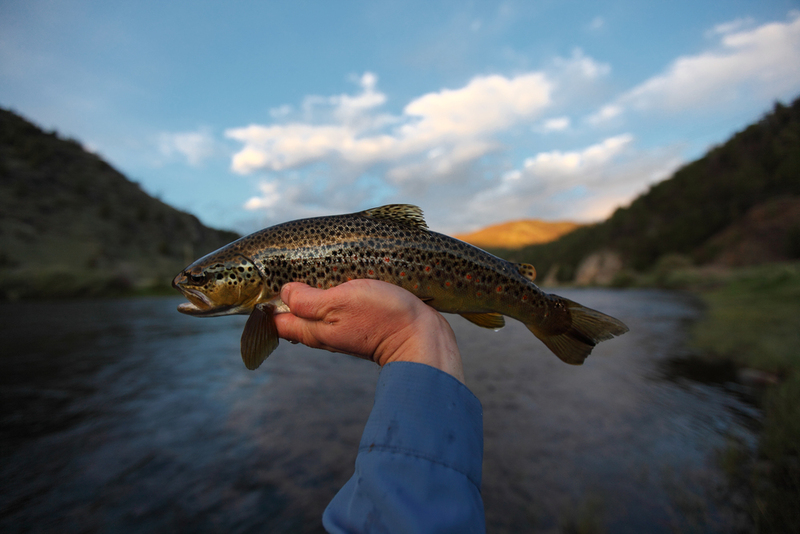 Funny, this Argentine Brown looks just like the ones we catch in Wisconsin. San Huberto Lodge, Argentina. I landed a number of fine Steelhead this day on the North Shore of Lake Superior. The Spalted Birch net was made by Lloyd D Hautajarvi out of Duluth MN. They are wonderful nets, works of art. Click here if you'd like to see more of his nets. 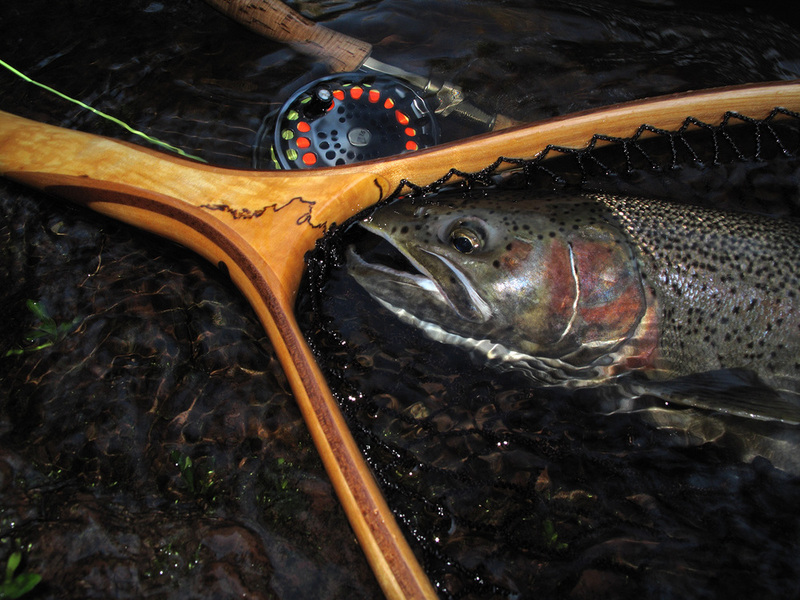 Dime bright hen Steelhead, somewhere on a stream way up north. Many days I've spent with my dad slinging poppers to big Bluegills and Sun Fish in northern Minnesota. Keeping a few for a meal of course. One of Scott Struif's poppers did the trick for Shoepack Muskies. On assignment for the Minnesota Conservation Volunteer Magazine. Door county Wisconsin, Lake Michigan. 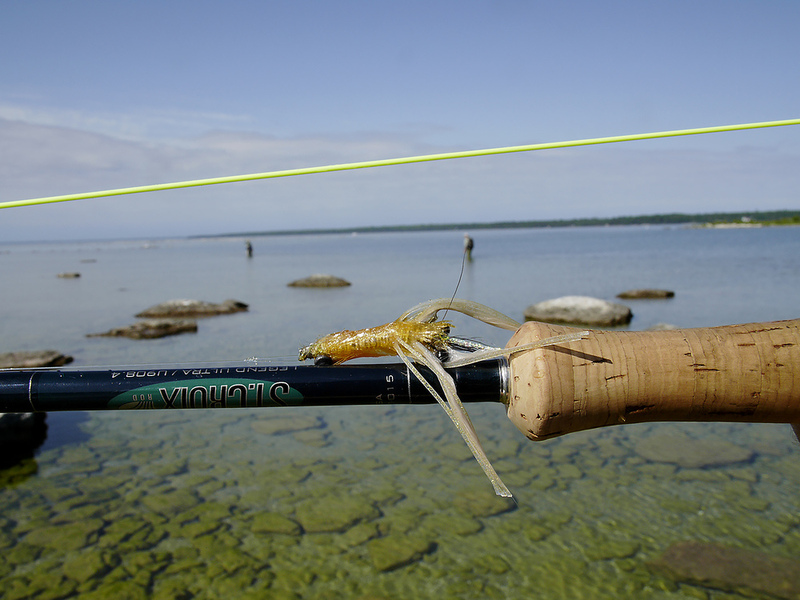 On assignment for MidWest Fly Fishing Magazine. 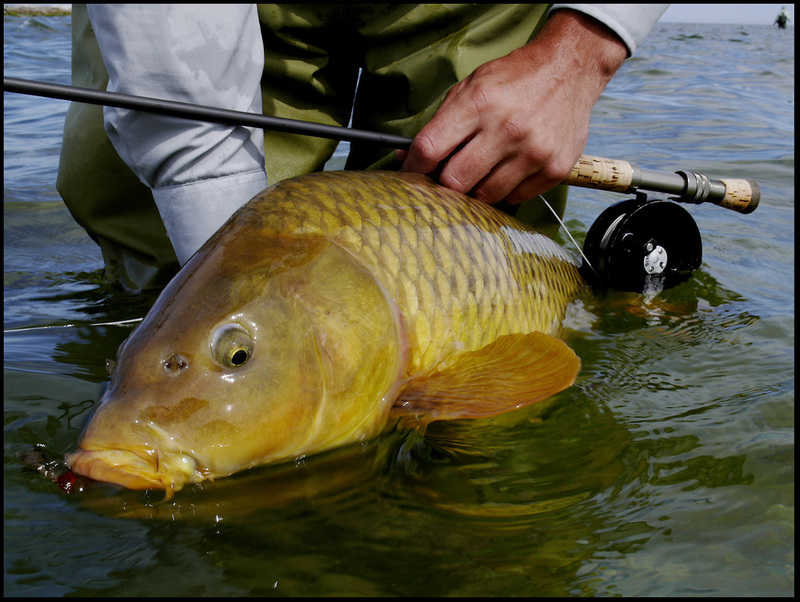 Tail up and head down, carp cruise the flats hoovering these little guys off the bottom. Patterns like this did the trick.